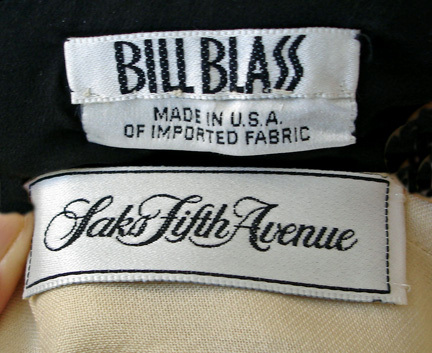 Enchanting black and beige confection exemplifying high style and glamour of the 1980's by Bill Blass. 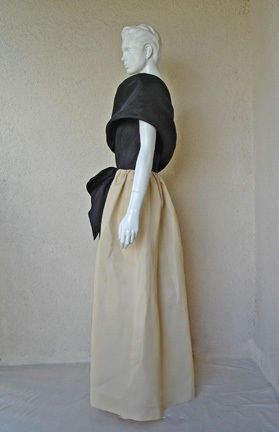 Fashioned of a substantial silk and linen blend in a one-shoulder sculptural silhouette. 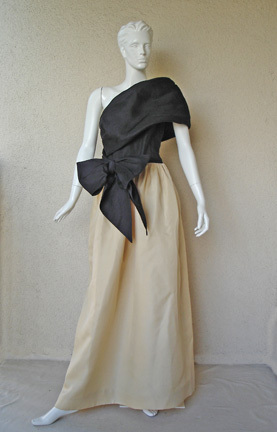 Two-tone combination of black bodice and ecru or off-white full skirt gives this creation a tasteful and eyecatching imprint. 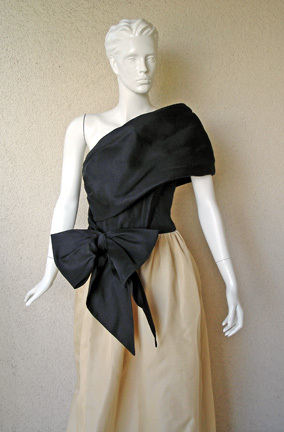 Fitted bodice with stiff sculptural swag and shoulder drape dropping and encircling waist for side fastening with large bow. 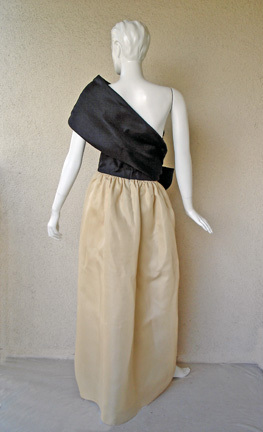 Size: 10; bust: to 35"; waist: 25"; length: approx. 59"
Condition: excellent with no wear; possibly never worn.